If you’re meeting up with a local, chances are pretty high they’ll ask you to meet up at “the horse”. The Horse or on local Kod Konja, has been become the go-to meeting point. It’s hard to miss this large, grand statue of a man on a horse. Funnily enough, many people actually don’t know who sits on the top of that cool horse. Well, good to know, it is Knez Mihailo Obrenovic who was the Prince of Serbia from 1839 to 1843 and again from 1860 to 1868. His first reign ended when he was deposed in 1842, and his second when he was assassinated in 1868. 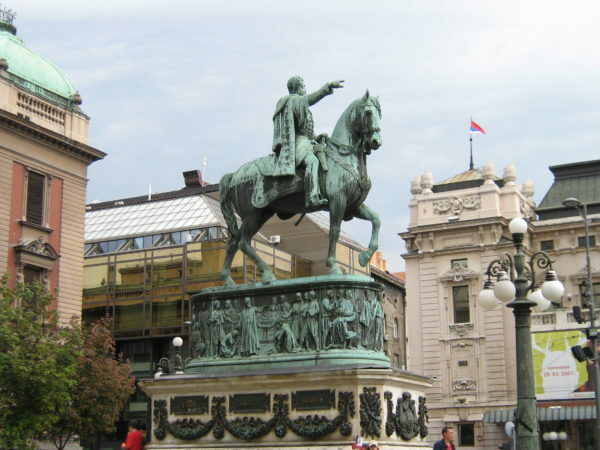 He is considered to be the most enlightened ruler of modern Serbia. He advocated the idea of a Balkan federation against the Ottoman Empire. 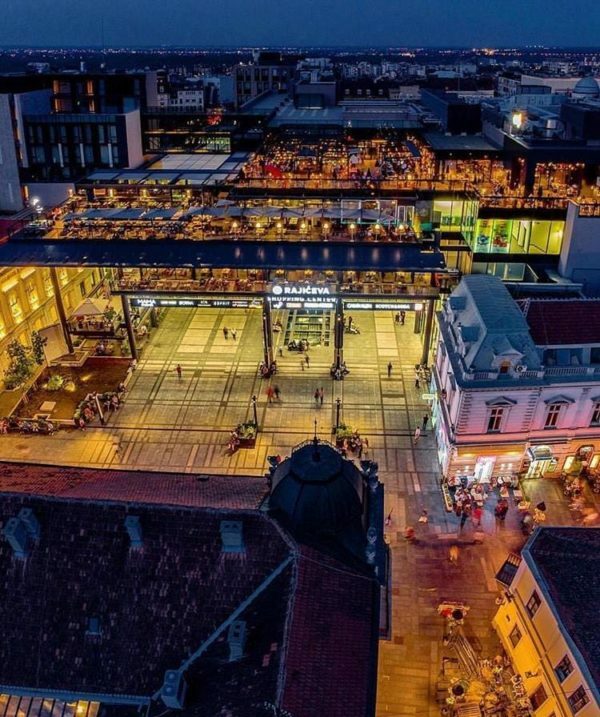 One of the biggest and most popular shopping malls is situated there, which makes Knez Mihailova one of the leading shopping streets in Belgrade. Sit down in some of the coffee shops along the street, grab a tasty coffee and enjoy the view for hours. Serbian woman are among the most beautiful in the world, and the guys are not that bad as well! It is easy to Connect with locals, people in Belgrade speak English pretty good. The cafe lifestyle has certainly become a way of life in Serbia and many people spend their days drinking coffee in different cafes. One thing you may need to know though is that there are cafes that only serve coffee and light snacks and also cafes that are more like restaurants where you can have a meal. If you’re into buying presents, then you will find plenty options over there. The local currency is Dinars, so make sure you have them on hand. Don’t worry, there are many money exchange places on the way. 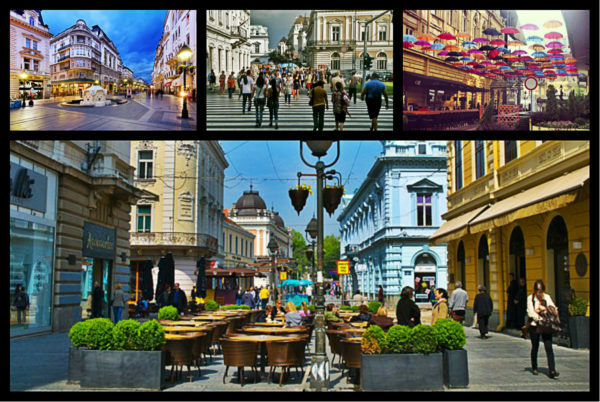 For more info about what you need to know when you are visiting Belgrade for the first time, click here. Knez Mihailova is always alive, even if it’s a rainy day outside. In the evenings, during the summer, you will find street performers, musicians and artists who are selling their work. There are many (as we mentioned before) great warm up places, before heading to some of the popular Belgrade clubs. Knez Mihailova is a good location when it comes to accommodation, in this area, almost everything is in walking distance. At the end of the street you will find Kalamegdan Fortress. This amazing place is adding additional value to this area. End of the Knez Mihailova is the beginning of the Klemegdan Fortress area. Don’t be surprised, Kalemegdan looks like fairy tale. People jog over there, or sit in the park bench and read, or lay under a tree just looking for the shade. Whatever you choose, Kalemegdan is the perfect place for relaxing. It is visited by thousands of tourists every year, and is open all day and night all year round.